Happy 4th July to our friends in the US! Did you know that just over 10% of the visitors to this website are from the US, as are several of our most enthusiastic Facebook fans. 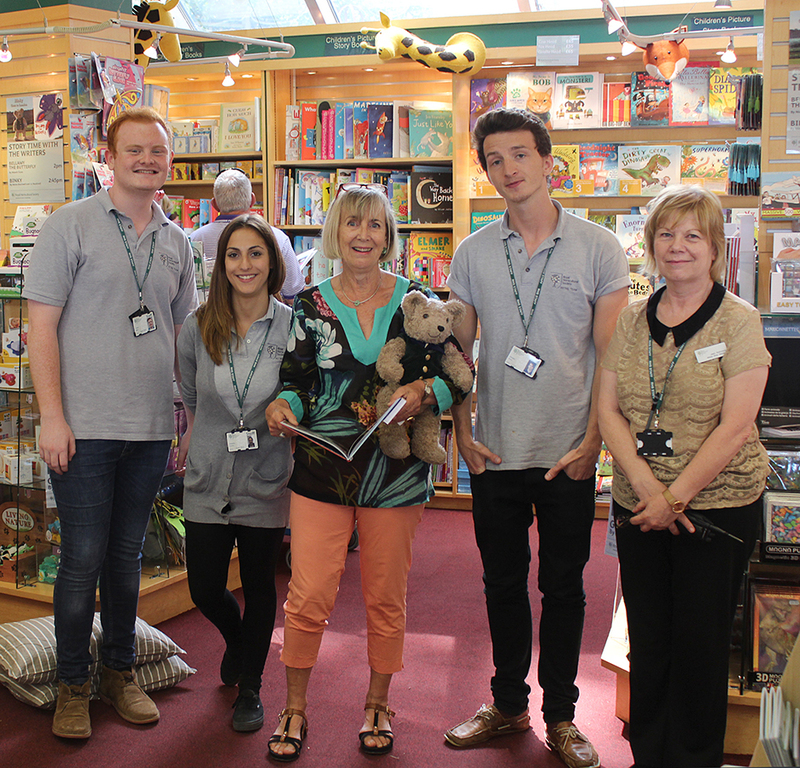 Lots of Binky Books and bears have been bought in Great Britain, as souvenirs of holidays here and given to friends and family back home. It is really exciting to think that the adventures of our very British Binky Bear are being read at bedtimes all over the US. 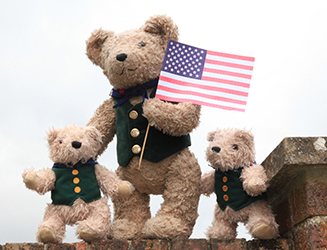 So in the spirit of doing something nice for your friends, Binky himself roped in two Little Binky Bears to pose for Moira's camera with their very own Stars and Stripes. So Happy 4th July Holidays to you all on the other side of the big pond! Some of you may be familiar with the hashtag #ThrowbackThursday and we are starting to use it on Facebook to go back and talk about how we started with Binky Bear. 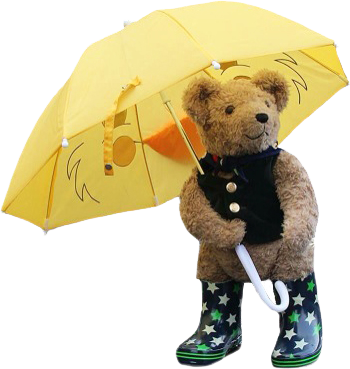 When we first had the idea of creating a children's photographic picture book we knew that our book, Binky's Big Adventure would be location specific and would have a map so you could enjoy Binky's adventure in Alresford yourself. What we needed first though was a Teddy Bear. We both have old bears but they are just too fragile so we went on the hunt to local charity shops for bears with different looks which we could use for test shots. 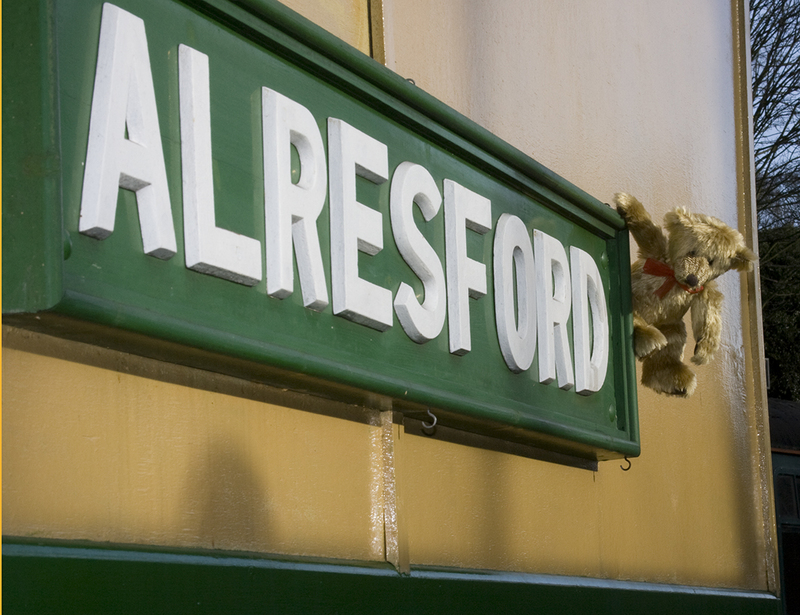 Here is one of our first applicants for the job of Binky Bear and Moira managed to hitch him up on the sign for Alresford Station (The Watercress Line). Big Binky Bear Celebration Today! Big hello to you all and thank you to everyone who has helped us build our Facebook page up to 1,000 Likes. On May 1st we had 427 Likes and today we have 1014! 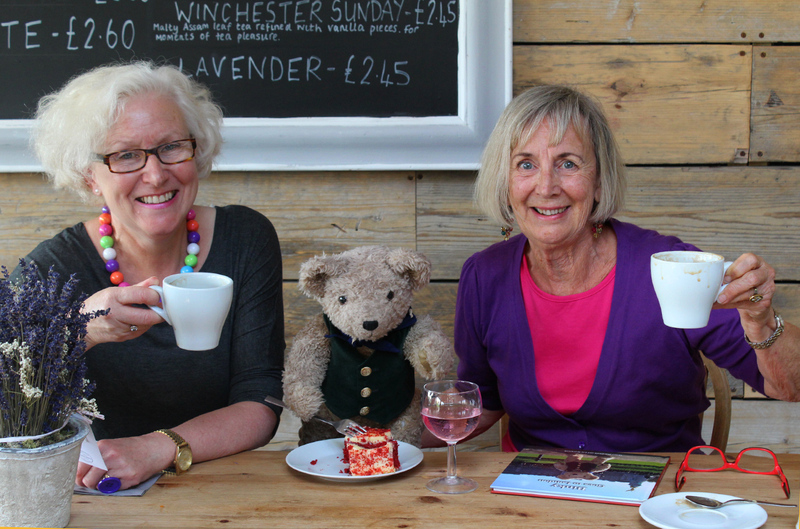 Binky joined us for a very special pink lemonade and (almost matching) Red Velvet Cake at Long Barn Alresford today. He even managed to look up from eating long enough to have his photograph taken. If you haven't liked out Facebook page yet, go one, come and see what all the fuss is about and join the Binky Family on Facebook. We post a new picture every day from the World of Binky and we'd love to have you aboard!